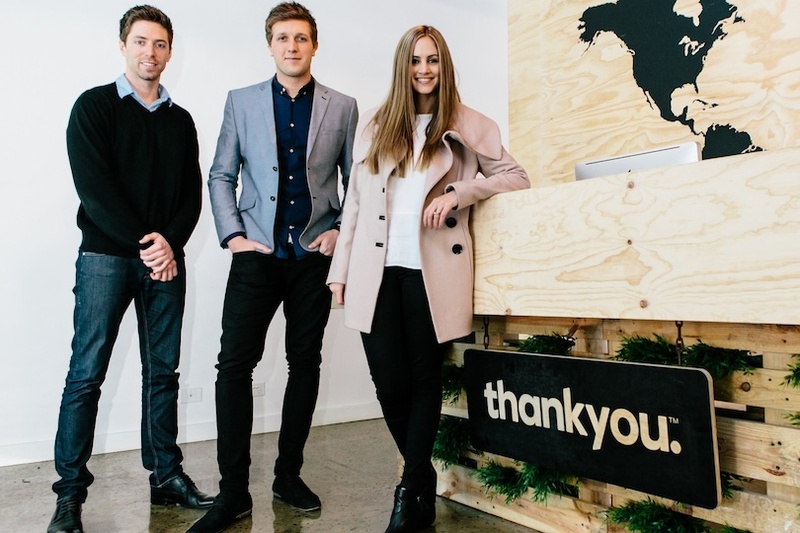 Aussie consumer product company Thankyou is an awesome example of a brand with a great story, who inspired their customers to share that story in a way that delivered amazing results for their business. In 2008 Daniel Flynn, then 19 years old, sat at his computer crying. He was crying because he was reading articles about children as young as 4 and 5 years old walking km’s on km’s every day to collect dirty water. Water full of bugs and diseases. Water that was making their families sick. Water that killed their siblings. The birth of Thankyou comes back to that day, and more specifically, back to two significant numbers that stuck in his mind. The first. 900 million people across the world still don't have access to clean water. The second. In 2008 we were spending 50 billion dollars on bottled water annually. Today it is 100 billion dollars. When Daniel Flynn, his best mate, and his girlfriend (now wife) decided to start Thankyou, the idea was simple. To combine those two extremes, and sell a bottle of water that donates 100% of profit to funding water projects. Daniel is the first to admit that they had no idea what they were doing, and everyone else was quick to point out it was impossible. Everyone told them they couldn't pitch to big names until they had started small, proved their model, and worked their way up. Everyone told them it was pointless. Except they landed a pitch. With a big name brand. They knew it was probably not going to succeed. Except instead of bailing out, they thought "but...what if it works". That thought has ended up becoming the single most important mantra of the Thankyou brand story. The big name brand said yes. They took 50,000 units after that pitch. Three years in, Thankyou land a pitch to 7-Eleven Australia. They launched a video on youtube telling the world about their upcoming pitch and asking everyone to jump on 7-Elevens facebook wall with a simple message. If you stock Thankyou, I'll buy it. The clip goes viral. People are posting videos of themselves singing, dancing and waxing lyrical about Thankyou to 7-Elevens facebook page. Over the next two years, Thankyou launches more products. A food range from which all profits go towards food projects, and a body care range from which all profits go towards health and sanitation projects. They are now five years into the Thankyou journey and still haven't managed to get their water stocked in any major grocery or supermarket chain. Coles and Woolworths operated 70% of the market share between them, and everyone was telling them they couldn't crack into that market share. Thankyou launches another youtube campaign, literally called ‘The Coles and Woolworths Campaign'. They appeal to all their supporters to help them convince both Coles and Woolworths to stock their products. Again the movement response was huge. With the help of two pilots who flew for free, Thankyou flew helicopters over both the Coles and Woolworths headquarters in Melbourne and Sydney with signs saying ‘Hey Coles/Woolworths, Thankyou for changing the world (if you say yes)' and the Thankyou web URL at the bottom. Both Coles and Woolworths said yes. Thankyou had their products on the shelf instore within a month. Taking the collective response a step further, they launched Chapter One, a book chronicling the first stage of the Thankyou journey. It was a pay-what-you-want initiative, and to date the book has raised $2,518,000 towards the next stage of the Thankyou journey. Today, Thankyou (with the support of their loyal consumers) have given over $6.2 million to fund water access, sanitation and hygiene projects, empowering 857,000 people across the world as of February 2019. Their products are simple, everyday items and yet the power of their brand story, social impact directive and use of collective action has achieved (and continues to defy) the impossible.